 Blast It Clean specializes in baking soda blasting. Our process follows the Good Manufacturing Process. As one of our earliest projects in the new year of 2019, these pet food mixers arrived with a requirement of baking soda blasting to bare steel. The purpose of a bare metal blasting is to thoroughly remove all unwanted materials including pet food products, paint, dirt, grime and any other residues created during the production process and transportation. Baking soda blasting, therefore, was the perfect solution for this project. Baking soda is an FDA-approved, non-toxic and non-silica medium. It is often used to clean food-processing equipment and production facilities. Once baking soda blasting brought the mixers down to the bare steel standard, our crew applied a primer and top coat application. The USDA approved product used for this project was Steel It®. This product created a durable layer of new paint that helps protect against a series of build-ups that can occur in food and beverage facilities. As a GMP-compliant company, our baking soda blasting procedures follow the current Good Manufacturing Process (cGMP). By working with us, our clients have no worries about violating industry requirements, knowing Blast It Clean is a professional company with responsibilities and accountability in mind. Since this baking soda blasting project had a smaller scale, the mixers were transported to our shop location in Kansas City, MO. All works were carried out at our location. If you have a similar project, please don’t hesitate to connect with us via our information form. Receive project highlights, company updates and engage with our community.